How old do I have to be to volunteer at one of your animal care centers? Volunteers must be 16 years of age prior to attending an orientation. I am (or my son or daughter is) under 16. Is there anything I/he/she can do to help the animals? Yes! Please visit the Youth Community Service Project web page for more information. As a volunteer, is there a minimum amount of hours per day, week, month, or year that I need to meet? We request (and the animals need you) for a minimum of two hours per week (8 hours per month) for a minimum initial commitment of 9 months. Do I need to purchase special equipment to volunteer? Our volunteers are required to purchase an $11.00 volunteer shirt that must be worn at all times when volunteering. Shirt sizes come in sizes S-XXXL. We also offer sweatshirts for $20.00 that come in S-XXL (optional). I have recently submitted my application, but I have not been contacted yet, when can I expect a response? Online electronic applications receive confirmation immediately after they are submitted. Please allow at least 8 weeks for an orientation in your animal care center area. You will be notified of the next orientation scheduled in your area via email within 2 weeks prior to the scheduled orientation date. How can I know the date of the next volunteer orientation for the animal care center at which I want to volunteer? Each animal care center has an orientation approximately every eight – twelve weeks or 4-6 classes a year (usually held on a Saturday). We will soon have a posted schedule of orientations here on our website. Due to the large number of volunteers enrolled, the Agoura Care Center holds two classes annually during the month of February and September. Can I attend an orientation for an animal care center different than the one I will volunteer at? Because each orientation speaks to very specific issues for each animal care center and other current volunteers and staff will present, we ask that you only attend an orientation for the animal care center at which you will volunteer. Who will train me on how to work with the dogs or the cats? Your first training session will take place at the volunteer orientation where you will learn about dog and cat behavior and behaviors to look out for while you are working with the animals. More extensive training will take place at the animal care center. Each animal care center has a Volunteer Coordinator or Liaison and leadership volunteers that will arrange additional training. Do I have to have my own medical insurance to volunteer? Volunteers are strongly encouraged to have their own insurance coverage. 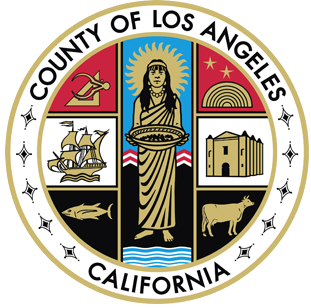 However, the County of Los Angeles does provide some insurance benefits for volunteers. Do I have to pass a live scan background check in order to become a volunteer? Volunteers who will perform services in areas that are deemed sensitive will have to complete a live scan background check. You will be informed if your volunteer service requires a background check. I have been fingerprinted in the past for another agency, do I still have to be fingerprinted again? We cannot accept criminal history reports done through another department or agency. You will have to complete the live scan fingerprint process again through the Department. How long does it take to get the results back from the Live Scan fingerprinting process? Live Scan results can take anywhere from 3-30 days. We will notify you immediately once they have been received. If for whatever reason(s) your Live Scan does not clear or there is information obtained that would exclude you from being a volunteer for the department, we will let you know. If I can’t go to the animal care center because it’s too sad for me, what can I do to help? There are many other opportunities to help us meet our mission. Fostering animals that need extra TLC, fundraising, and volunteering at off-site adoption events are just a few examples. Please email us at: volunteer@animalcare.lacounty.gov for more information about other volunteer opportunities. I am interested in fostering animals, but not working at the animal care center, do I still have to go through the Volunteer Orientation? You can become a foster only volunteer. In order to become a foster only volunteer you must complete a brief orientation and a foster class. What is the time commitment necessary to foster care center animals? Weaned animals may require three to six hours a day, injured animals two to three hours a day, bottle babies (un-weaned), eight hours a day (must be fed every two hours) and a mom with her litter, three hours a day. The Department tries to provide all of the necessary food and supplies to foster parents, but due to the large intake of animals needing fostering this is not always available. Foster parents need to provide appropriate space, some food and love for the animal(s). The care center will provide medications and veterinary care if needed.